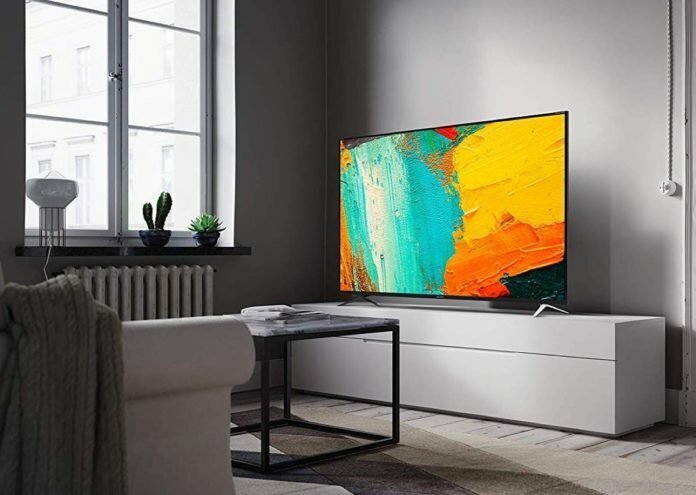 Sharp is finally launching its first batch of new TVs this year with four Smart LED 4K UHD models available in 60-inch and 70-inch sizes. The TVs are said to provide not only beautiful images but also amazing audio thanks to their integrated harman/kardon sound systems. What’s more, buyers get a choice of LED display technology, depending on the model. The LC-60UI7652E and LC-70UI7652E models both use Direct LED tech, while the LC-60UI9362E and LC-70UI9362E TVs are equipped with Edge LED backlighting. Direct LED is often said to deliver better image quality because the LEDs are located directly behind the panel and therefore offer better contrast and more intense brightness. Edge LEDs meanwhile are located at the perimeter of the display and use light guides to lighten up the back of the panel. But the superiority of either tech is often a matter of preference, hence it's worth taking a look at both. Edge LEDs do provide one clear advantage however, as the displays are usually thinner than their Direct LED cousins. In any case, all four displays feature Sharp’s AQUOS technology, which the company says helps to produce sharper images and more vivid colours. The TVs also come packed with many essential features needed to get the most out of the 4K resolution. The integrated upscaling algorithms help to take regular HD content and display it at something close to true 4K, while the HDR+ technology also helps to improve brightness and contrast levels, while providing a wider colour gamut than regular TVs. Sharp’s Active Motion technology helps by improving the fluidity of fast action scenes while reducing the ghosting effect. It’s not all about the image quality however as Sharp’s new TVs all come with an integrated sound system built by luxury brand harman/kardon. The 2.1 audio system features an independent, low frequency subwoofer that’s able to deliver “deep bass and delicate trebles”, the company said. The audio system is further enhanced by DTS Studio Sound tech that’s said to enable cinema-like sound experiences. As is standard with higher-end Smart TVs these days, Sharp’s new models all provide access to essential video streaming apps such as Netflix, YouTube and Rakuten. The TVs can also connect to Android devices wirelessly, and play content directly from them. Content can also be played via external devices such as Blu-ray players with three HDMI connectors available (but no HDMI 2.1), in addition to three USB inputs and an SD card reader that’s able to support 4K resolution. Unfortunately there is no support for Google Assistant or Amazon Alexa, so voice activated controls are a no no. All four TVs are available now, Sharp said. The LC-60UI7652E and LC-70UI7652E with Direct LEDs are priced at £649 and £999 respectively, while the LC-60UI9362E and LC-70UI9362E with Edge LEDs retail at £749 and £1,199.